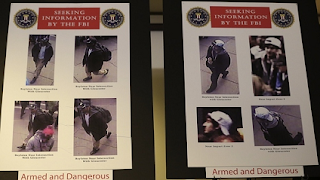 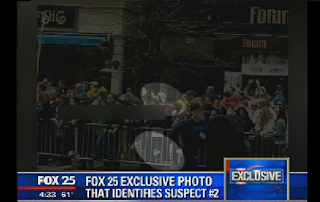 FBI Releases Images of Two Male Suspects in Boston Attack and seeking public's help to identify the men. If you have any info about the two suspects, the FBI has a tip line up, 1-800-CALL-FBI (1-800-225-5324), and an email, boston@ic.fbi.gov. I don't get how the two became suspect :( hahaha.